Trying to decide between the launderette and the library? 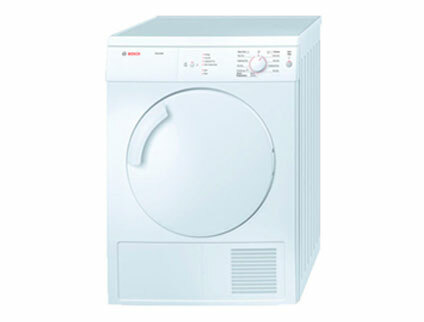 Save yourself a trip by renting a refurbished tumble dryer. Set the drying time and temperature, then get on with your day. The clear settings and large dial on the front are attractively practical. Economical running saves electricity on each cycle. This tumble dryer’s 2-metre hose also makes it simpler to plumb in. To qualify for student rental, you need to give us details about your university and your course. Once we've confirmed you're a current student, we can go ahead with processing your application. Rental terms include a £35 deposit and £20 admin fee. These charges and the first month's rental must be paid on delivery. Student rentals typically last 9 months. At the end, if you've made all payments and return the appliance in good condition we'll give your deposit back. Email or write to our Accounts department so we know where to send the refund. The person who applied must be present to sign for the appliance and pay. We need to see 2 forms of ID – passports are preferred – as well as your NUS card. You'll also need to name 2 contacts, and one of those should be a parent or guardian. This is so we can get in touch if you have phone or internet issues. Set the drying time and temperature, then get on with your day.